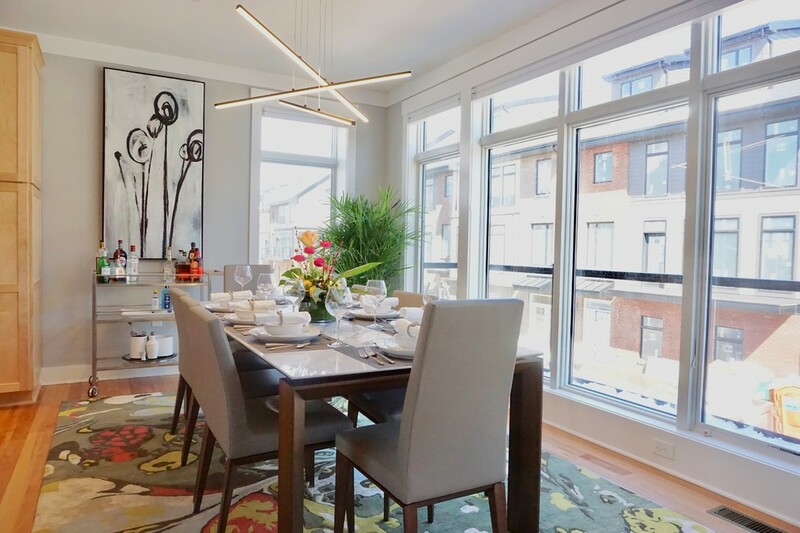 Light-filled, modern dining room in new townhouse development . Each piece was thoughtfully selected to compliment the open modern feel of this new home. 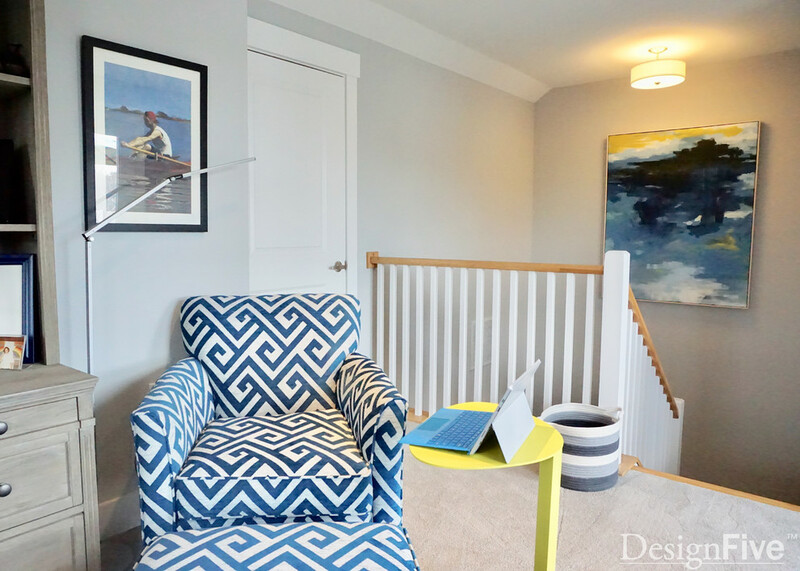 Linear aspect of the light fixture was chosen to contrast with the organic nature of the area rug and artwork. 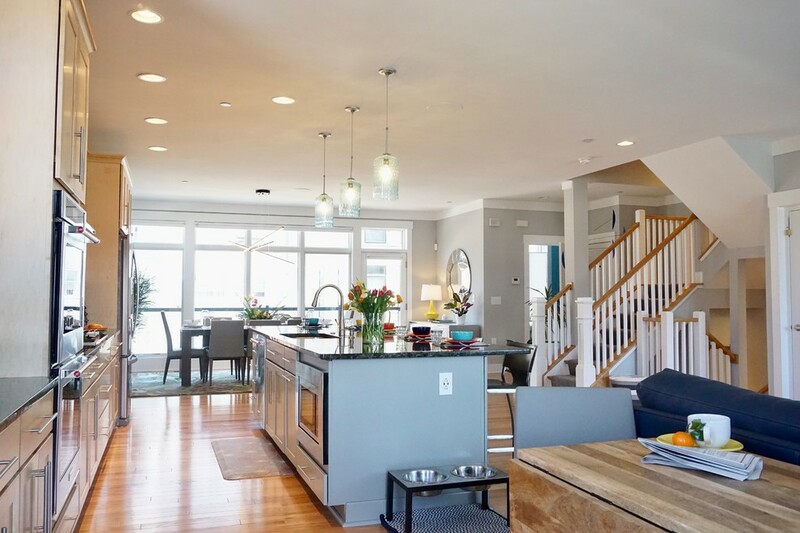 Welcoming open floor plan with plenty of space for entertaining. Transitions from comfortable living room to spacious dining room. Kitchen island easily seats 5. Casual dining table in foreground is situated opposite fireplace and tv for weekday meals and small gatherings. This dining room allows for casual yet elegant entertaining. Gold color of the lamp on buffet chosen to compliment color in area rug. Round mirror selected to reflect view and light from wall of windows. Blue mobile hangs in open stairwell to create organic movement to contrast with the linear architectural details. Light-filled entrance. Mirror reflects mural on opposite wall.